I cannot remember how many times I have told other women to be kind to themselves after they have shared with me some story from their heart. I have to remember many times to tell myself that too!! I think as women we are too hard on ourselves. We take care of others (I think this is a trait born into almost all women whether we chose it or not), we take care of our pets, we clean our homes, we work as hard as men on our jobs and then we take care of our husbands. Like this morning. I did not sleep well last night and was up a lot. I have a huge training presentation to work on and I needed my sleep. So about 4am I had just fallen into a deep sleep, much needed too!! and my husband rushed into the room with his lunch box on his way out the door to ask for his lunch. Now, did I look like I was excited to jump out of a warm bed to get him a sandwich when he was perfectly able to make one himself? Well, actually, I am not sure he had even made a sandwich himself, but you know what I mean. I wanted to throw something at the voice coming from the door, but the only thing close was a soft pillow I WAS USING, so that was not an option. I softly said, did you look on the top shelf on the lunch space for your sandwich. He said no, I thought I would ask you if you made one. I said, well, go look, I think you will find one I already made for you last night. Now that I am actually up and ready to work after my 2 cups of coffee and green tea with honey (my promise to my new daughter Addy) I can now think. My husband can make his own lunch, he is an engineer. But he will go without lunch if I do not make him one (or go have someone else make one at a restaurant!) But, I have to remember, he likes me to make his lunch. Instead of being mad at him for broken hands on this task, I need to be humble and be happy someone does need me. What if I did not have a husband, or a friend? What if I did not have a little fuzzy animal that needed me to take her out at night? When I needed a hug or someone to listen to my story, he would not be there. When I was working on my training slides, my fuzzy friend would not be at my feet to remind me she loves me. Women, first, be kind to yourself today and listen to what God has for you today. 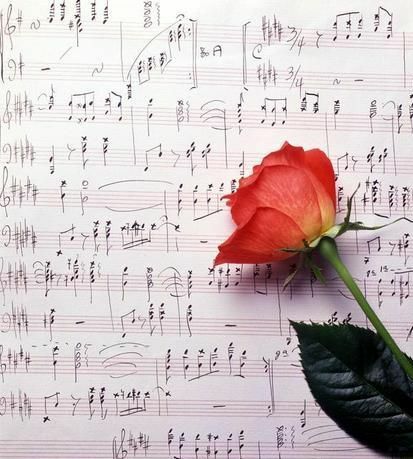 Turn on your music and dance and let your hearts heal. Wednesday, December 04, 2013. Eggnog Therapy! Eggnog is one of my favorite drinks during the Christmas holiday season. Drinking eggnog during a cold winter evening while watching “It’s a Wonderful Life” with those I love is a family tradition that makes everything OK in my world. Of course my world might be so totally different from your world, but hopefully you will find some eggnog therapy in my blog today!! 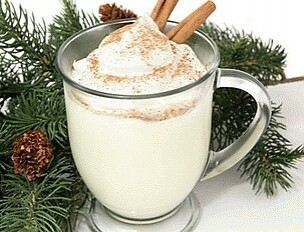 Eggnog has lots of cream and sugar in it and drinking a glass of this wonderful therapy can make me feel a bit guilty. 😉 But I tell myself I will work off the calories with all the hustle and bustle of taking care of everything my list. But, in order to take care of everything on my list, I need to take care of myself first!!! Now that I have you thinking about lists and shopping and all that you have to do, relax for a bit and get some eggnog and read my dear friends. Good Thoughts: Be good to yourself. I am one of the biggest critics to MYSELF. I expect great things of myself and often lay in bed at night and review all the things I did NOT do that day. One thing I do is bring out my personal gratitude list. This list is where I write down all the things I love about myself (yes, it is ok to love ourselves). Reading and adding to this list gives me confidence. How can I give to others if I am not fulfilled myself? Proverbs 19:8 is so true: “He that getteth wisdom loveth his own soul: he that keepeth understanding shall fine good.” Hummmm, God tells us to love ourself! Giving: Give words of love or thanks to someone. Write a note to one person each week in December. More often if time allows. So often we get so busy with Facebook, tweeting, instant texting, that we forget how precious a handwritten note is. I have a note my son gave me years ago framed in a little frame to remind me of our friendship. I have a handwritten note from my future daughter in law under the plastic in my office when I visited her for some girl time last summer. A hand written note is a precious gift. I hope my eggnog therapy makes you smile…..
4 Cook on medium heat, stirring constantly with a wooden spoon, until the mixture begins to thicken slightly, and coats the back of the spoon. It helps to have a candy thermometer, but not necessary; if you have one, cook until the mixture reaches 160°F. Do not allow the mixture to boil, or it will curdle. (If the mixture does curdle you may be able to save it by running it through a blender.) Remove from heat and stir in the cream. Strain the mixture through a mesh strainer to remove the cloves. Let cool for one hour. 5 Mix in vanilla extract and nutmeg. Chill. Drink with someone you love!! One thing my mother always taught be was to look for the gifts God gave me and develop those gifts as they were going to me my strengths. God has given each of us unique abilities, talents, and gifts which we are to use to serve Him and others. If we look where our strengths are, our gifts, we can find out talents. Both grow in effective use!! These gifts are: prophecy, serving, teaching, exhorting “encouraging”, giving, leadership, showing mercy. WOW! what a powerful list of gifts. I believe our talent is Gods gift to each of us. It is through developing out spiritual gifts that we can give a gift back to God. The uniqueness of each of our gifts God gave us is what makes us who we are and sets us apart from other people. I know sometimes we wonder about our confidence and our inner being is afraid of our gifts. If we use our talents wisely without fear, God will give us more. If we use your time wisely, God will give us more time. If you use your influence wisely, God will increase your influence. God will bless our level of faithfulness. Tuesday, June 11, 2013 ……Tribute to my Daddy, the first man I loved. My dad is a musician. From the time I can remember as a little girl, my mom use to say, dad is in his “music box.” He would be mowing the lawn, or repairing a light fixture and humming a song I had never heard before. I would ask him a question and see him turn his head as if to have heard a faint voice in the distance that would pull him into my world and smile and say, “what sweetie……. I was not listening, but I am now”. I knew he was listening to me; he was just listening to notes in his head making some beautiful melody. How I wish I could go there and join him, but that world was his world alone one he felt so safe in. I never cared because I knew when daddy was in my world, he was my daddy and I was his number one daughter for that moment. My sister Pam came along five years later which was designed by God as He knew that span of years was perfect for my dad. If I was ten, I was starting to wonder about boys and if I was pretty enough. Pam was still wearing the wheels of her skate car and cornering the curves like a miniature Mario Andretti. Daddy had a heart for both of us that made us feel we were the only little girls in the world. I remember one time I was so sad and he came into my room and I was crying….. I told him I did not know what I was going to do with my life………. Any my daddy touched my face and sang me the song….. Perry Como, “And I Love You so.” He told me that God had a plan for me and that if I closed my eyes I could feel the magic. Daddy still writes music. Several years ago I bought him a computer, a computer program to write music and taught him how …. well, at 85 years of age, learn the computer. So, daddy, I am dedicating this blog to you, the first man I ever loved and unlike anyone in the world I know, your heart is so full of love and music. Not that I speak in respect of want: for I have learned, in whatsoever state I am, therewith to be content. Philippians 4:11. Wow, what powerful words. I have recited that verse for years and have to admit that I still work to claim ownership of that verse. I think we all have areas in our life that we have conquered and can say, I have that one covered. We have worked hard to earn a degree, master a cooking class, or walk with a mentor to master an area of weakness. But we find we still have an area or areas we just still need work on. It is like my house. As soon as I have worked through getting each room done, painted, furnished the way I like it, I have to start back at the beginning as time has spilled coffee on the carpets, or the hardwood floors need redone! Right now in my life, I have a personal situation that has tentacles! Daily I struggle with at least one area and finding total contentment is hard. The word content means: “satisfied with what one is or has; not wanting more or anything else.” This includes peace in our life. I want my mom to be healthy again, to remember our conversations. I want my son be be out of harms way and not worry about him. I want to know where my new job will be and …. on and on. But, as I go back to the verse from God, “for I have learned, in whatsoever state I am, therewith to be content.” I have learned that if God gives us this verse, then He has already provided the peace that goes with our struggles. If we trust in Him with contentment, NO MATTER WHAT, then He will provide the tools to handle whatever we are going through. Even those little ones we keep to ourselves. How powerful is our God! I love you all my friends. I was looking through some of my old materials when I was coaching and found a blog I wrote to actually help myself. It was titled “Looking through a Cracked Window.” I wrote these words 4/10/2010. “I am not sure why this particular morning I realized what I should be years prior to now, but I woke up feeling I was looking at life through a window that was flawed. I could not see what was reality in my life due to the distorted image I thought was the truth and what was my mind playing tricks on me. I am sure we all have the same experience in that we look at the world in front of us and our experiences are filtered by the windows are are looking through. If we are unhappy, our events are unhappy. If we are scared, even going outside makes us fearful. If we are insecure, we tend to be closed to challenges. Today, I still have some limitations from that fall, but with God’s help, I was able to do a couple things. First, recognize that I could not over overcome the my fears had I not given over my fears and insecurities over to God. Secondly, recognize that I daily need to replenish myself with the affirmations that I am the woman God wants me to be and that He has given me gifts. Thirdly, these gifts of “exhortation, leadership,artistic ability, administration, and encouragement” make up who I am. That window that was once cracked that I was looking through as a frighten woman is my reminder that I can overcome the fears I had and still have, but know I know how to filter them. Sunday, January 13, 2013. God knows our secret dreams…. Most of your know I live daily with pain. I have FM. Fibromyalgia, a pain that is in the entire body and there is no cure. Lately I have been battling pain in my shoulder, arm, neck that is almost debilitating. Doctors have sent me to PT with no benefit. I have tried everything my friends tell me about…. even recently the “dry needle!! !” There are hours and days I am in more pain than I can deal with. I am not complaining, I am actually rejoicing. With this disease, I have learned to really appreciate everything, everyday. Also as most of you know I started my own business last year. I joined my company with my business partner. I was asked to be a Key Note speaker in Vienna, Austria at the 2012 Euro Risk Summit. I was fearful to take this journey…. how could I tote my luggage, handle a long flight, deal with being away from a doctor if I need one? God opened a door for me and I walked through. When God opens a door He walks through that door with you, He does not just push you inside and say, good luck!!! God knew one of my life long dreams was to travel in Europe one last time before I was too crippled to travel. I wanted to see Italy, the Eiffel Tower, Rome, Venice, Florence and eat spaghetti!! Here is how God worked. I introduced my business partner to the summit and he was asked to be the lead for one of the risk tracks and speak with me. 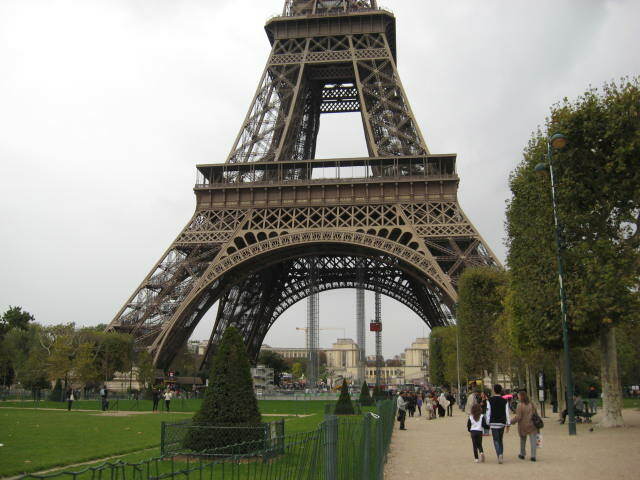 So off we went to our speaking engagement and … yes, I was able to visit all those places in my dreams. I will never forget the smells of Italian cooking, the sounds of the long train trip to Venice, the feel of the Eiffel Tower to my fingers, the sight of people from all over the world in Rome and the experience of speaking at an International Summit. If I were to ask you to take one thing away from my experience, I would want you to know that God knows our dreams, even ones we thing we will NEVER get to experience, HE knows. When I stop during my busy day to have an espresso, I go back to my summer when God showed me once again He knows.